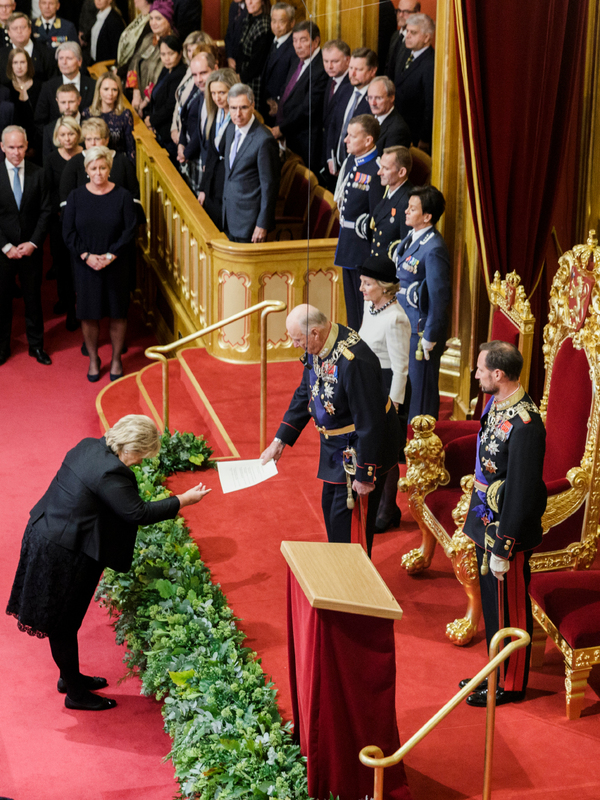 The opening of the Storting in October every year constitutes an important part of His Majesty's constitutional role. This is ordinarily the only time during the year that King, Government, Storting and Supreme Court is gathered. Her Majesty The Queen and His Royal Highness Crown Prince Haakon accompanied King Harald at the ceremony. The Speech from the Throne was followed by the Report on the State of the Realm. Traditionally read by the youngest member of the Government, the report presents a summary of what the Government has achieved during the past year. The seremony concluded with the National Anthem, Ja vi elsker. Tomorrow, the Storting will deliberate on core issues from the speech, as no deliberations may take place in the presence of the King. 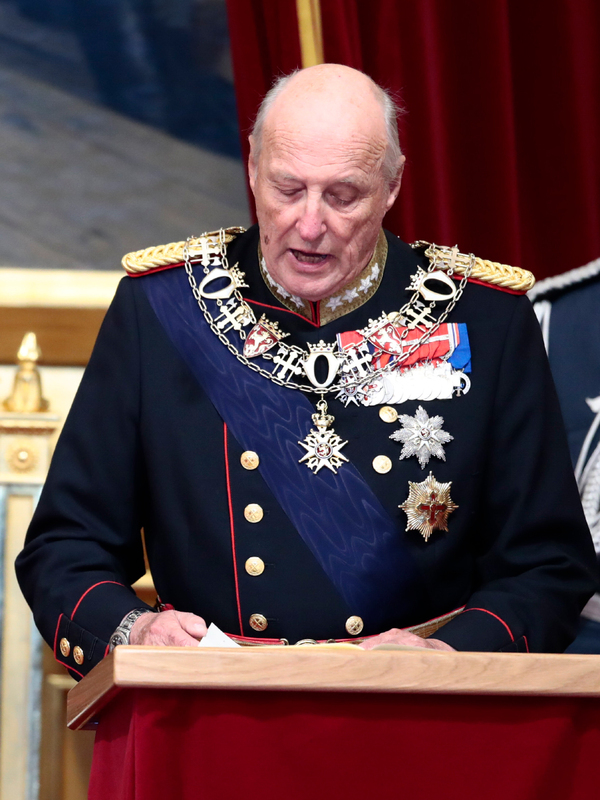 King Harald has opened the Storting 29 times. 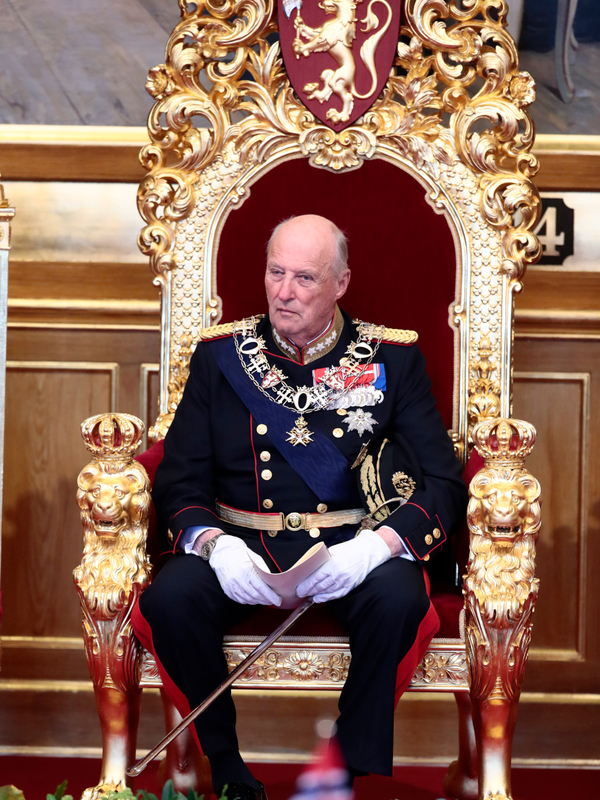 The first time was in 1990 as Crown Prince Regent during the illness of his father, King Olav. King Haakon VII opened his first Storting as King of Norway 22 October 1906. Except for the war years, King Haakon opened every Storting until 1955. In 1956 and 1957 Crown Prince Olav opened the Storting during King Haakon's illness. During the years 1814-1905 when Norway was the lesser part of a union with Sweden, the Storting was many times opened by the Stattholder - The King's representative in Norway. Between 1815 and 1905 The King opened the Storting 23 times, and the Crown Prince Regent on five occasions. King Oscar I was the first to conduct the Speech from the Throne in Norwegian. This took place on 10 February 1845, and the speech has been given in Norwegian ever since.